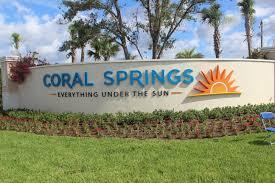 Medication Assistance | Prescription Assistance Is Available Coral Spring, Florida Parkland Florida, Delray Beach Florida, Low Income we can help. RX Solution is the right choice !! Are the high costs for prescription drugs at your pharmacy creating a burden on your finances? It’s Easy to qualify for our Prescription Assistance program. Prescription drug prices have been rising 10% or more annually, on average, for years. The price hikes have been taking place at a time when inflation is low and when the costs for some everyday purchases like groceries are actually decreasing. So it should probably come as no surprise that more Americans view prescription drug prices as unreasonable. Additionally, studies have found that 8% of Americans don’t take their prescription drugs because they can’t afford them. Insurance coverage has a big factor on this statistic as well. Among adults under age 65, 6% who had private insurance skipped medicines to save money, compared to 10% for those with Medicaid and 14% of those with no insurance. Among those of us with the lowest incomes, well below the federal poverty level, nearly 14% have not taken medications as prescribed to save money. Rising costs, declining affordability, many Americans not able to pay for their prescriptions – this common and continuing trend is all too common unfortunately. However, there are some little-known strategies you can employ if you find yourself, like many Americans, trying to find cheap prescriptions without insurance. Countless organizations and health programshave exhibited an outpour of efforts to provide affordable medication to those living with limited resources. The problem, however, is that as the demand for prescription medicines rise, their prices increase as well. As Americans face rapidly escalating prescription medicine prices, many patients choose to reduce the dosage or forgo their medications entirely, therefore putting their health at risk. This concern is especially common among people who don’t have prescription coverage. If your insurance cannot shoulder the cost of your prescriptions, turn to our team and apply for a prescription assistance program. We help you from the application process until the receipt of your medicines. We have eliminated all the tedious work involved in obtaining prescription drugs so that you can receive quality medication at the soonest time possible.